Lucerne, Switzerland/Ras Al Khaimah, UAE – 10 October 2018: World Tourism Forum Lucerne has entered a two-year strategic partnership with the Ras Al Khaimah Tourism Development Authority (RAKTDA). Per the agreement, the Emirate of Ras Al Khaimah will be an exclusive partner in the upcoming World Tourism Forum set to take place in Lucerne, Switzerland between 1-3 May 2019. More than 500 participants are expected to attend the biennial forum including heads of state, ministers, CEO’s, investors, entrepreneurs and policy-makers sharing a common interest in finding practical solutions for sustainable growth and development of the travel, tourism and hospitality industry on a global level. The arrangement with the World Tourism Forum Lucerne also encompasses the hosting of three industry focused events in Ras Al Khaimah in 2020, cementing the Emirate’s position as a destination for change and innovative entrepreneurship in tourism. These events are the WTFL Think Tank, a high-level two-day event for high profile decision makers in the tourism industry, the WTFL Talent Boost, a platform dedicated to talent and job creation in cooperation with a tourism or hospitality university in Ras AI Khaimah as well as the WTFL Start-Up Innovation Camp bringing together the best new business models in several categories. Ras Al Khaimah Tourism Development Authority will be the official sponsor and supporter of these three major events. 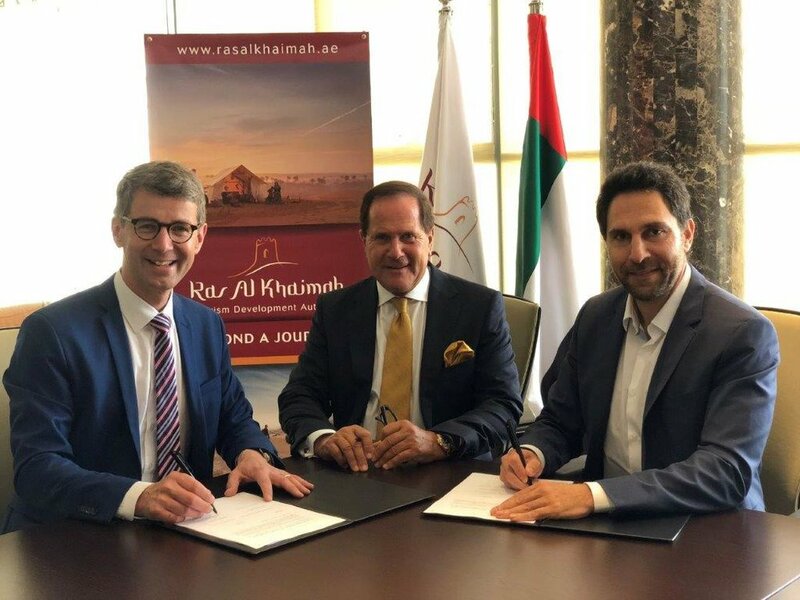 The signing ceremony was attended by Haitham Mattar, CEO of Ras Al Khaimah Tourism Development Authority, Reto Wittwer, Chairman of the Advisory Board of World Tourism Forum Lucerne and Martin Barth, President & CEO of World Tourism Forum Lucerne. Martin Barth, President & CEO of World Tourism Forum Lucerne adds: "One of the most fascinating trends in the global travel, tourism and hospitality sector today is the tourism growth evidenced in developing and emerging markets. High growth of the emerging affluent traveller will continue to shape our industry, so we need more destinations that can adapt their value proposition to attract the new wave of future travellers. WTFL is keen to partner with countries and destinations like Ras-Al Khaimah who we believe are on the cusp of change and have a unique opportunity to stand out.